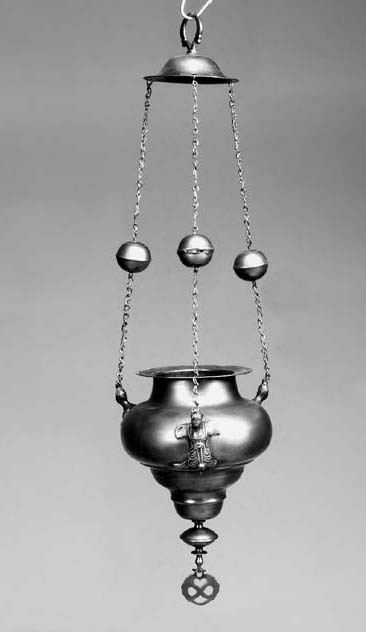 in the 16th century style, the inverted baluster vase-shaped body applied with winged caryatid mounts supporting the chain suspensions to the conforming corona -- 9in. (23cm.) diam. approx.